BBC NEWS | UK | Northern Ireland | Who are the INLA? The Irish National Liberation Army was a familiar name on news bulletins throughout the Troubles in Northern Ireland. A much smaller group than the IRA, it retained a capacity for ruthless killing and was behind some of the most high-profile murders of the period. The republican paramilitary group is believed to have been responsible for 111 murders from its formation in 1975 until its ceasefire in 1998. Although the INLA has been on an often-fragile ceasefire for 11 years, it is still thought to have been involved in a number of murders since then. As recently as February, the INLA claimed responsibility for the murder of a drug dealer in Londonderry. The name may have faded from the headlines but the latest security assessment by Northern Ireland's ceasefire watchdog found the INLA "remains a threat and is no less capable of violence than it has been in the recent past". The Independent Monitoring Commission said its members remained deeply involved in serious crime, with extortion being its main form of income. INLA members were targeting individuals and exploiting tensions at sectarian interfaces in the recent past, the commission said. The group has regularly indulged in bouts of bloody infighting. Formed in 1975, many of its early recruits were thought to have come from the Official IRA which had called a ceasefire three years earlier. 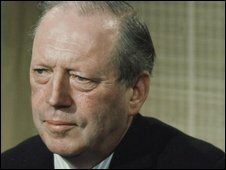 It came to world prominence in 1979 with the murder of Conservative Northern Ireland spokesman Airey Neave by leaving a bomb under his car in the House of Commons car park. Its bloodiest year was in 1982 when it was responsible for 32 murders. 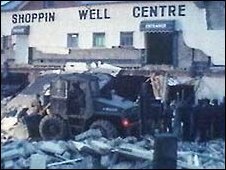 In December, it was behind one of Northern Ireland's worst atrocities when it killed 17 people in a bomb attack on the Droppin' Well pub in Ballykelly, County Londonderry. When other paramilitaries began declaring ceasefires in 1994, the INLA did not follow suit until four years later. In December 1997, Loyalist Volunteer Force leader Billy Wright was shot dead inside the Maze prison by the INLA. Three members of the INLA died in the jail while on hunger strike in the 1980s. While most of the main paramilitary groups have destroyed their weapons or at least begun the process, the INLA has not decommissioned any of its arms. 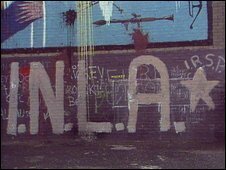 According to the University of Ulster's Troubles archive site CAIN, the INLA is believed to have a small arsenal and several dozen active members. It is thought to hold a small stock of rifles, hand guns and, possibly, grenades and a small amount of commercial explosives dating from the mid-1990s.